This t-shirt design from TeeCraze rather captures the spirit of the Thing, don’t you think? Sean Moreland will be joining influential Canadian writers/editors/anthologists Nancy Kilpatrick and Caro Soles on a panel at this year’s FanExpo Canada to talk about the relative scary-merits of Edgar Allan Poe and H. P. Lovecraft (the panel may also be joined by a special guest, known for his screen embodiment of both writers’ fictions.) It’ll be a feast of insidious intent, hideous argument, and debatable putridities as we discuss the legacy and influence of these two titans of terror, considering who is finally more frightening, and why…. The panel is scheduled to take place on Saturday September 5 at 545. I’ll post any changes or details here. If you are at this year’s expo, we hope to see you there! Over the more than 150 years since Poe’s untimely demise, there have been many anthologies themed around his life and writings, of widely varying emphasis and quality. 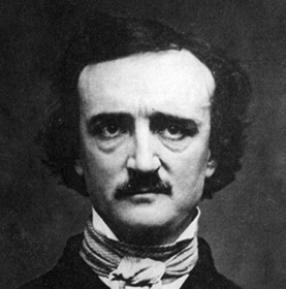 While a few have focused on Poe’s legacy in terms of detective fiction, science fiction, or poetry, the vast majority have emphasized Poe as the grand-pappy of, and a marketing locus for, modern horror fiction. Two notable earlier 21st century examples are Poe’s Children: The New Horror, edited by Peter Straub (Anchor Books, 2008) and Poe: 19 New Tales Inspired by Edgar Allan Poe (Solaris, 2009), edited by Ellen Datlow. Both these earlier collections hold a place of importance in terms of Poe’s continuing popular association with literary horror, but in very different ways. Straub’s anthology is a monumental tome containing over 600 pages of haunting stories by some of the late 20th/early 21st century’s most influential dark fictionists. The anthology’s title and subtitle, however, are probably the weakest thing about it. They clash misleadingly for a number of reasons. First, the word “new:” the careers of several of the writers whose work this anthology showcases, including Straub himself and the omni-prevalent Stephen King (whose story “Ballad of the Flexible Bullet” is more reminiscent of one of Poe’s satiric extravaganzas than one of his horror tales) date back to the 1970s. 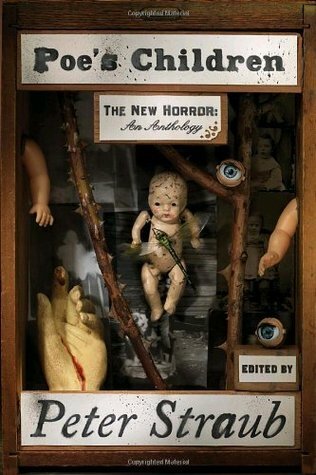 Referring to Straub and King (and even Ramsey Campbell and Thomas Ligotti) as “new horror” in 2008 gives an inaccurate impression of what the anthology is all about. In fact, because I am a crabby pedant who is also tired of seeing Stephen King yarns that I’ve had in paperback since 1985 repackaged alongside new fiction, this almost prevented me from buying the book in the first place. Rather than the showcase for new and cutting edge horror its title suggests, the anthology is more about rehearsing a lineage that supposedly runs from Poe through King and Straub to writers as diverse as Thomas Ligotti, Elizabeth Hand and Glen Hirshberg (an in-store perusal of the stories by these writers, by the way, was what persuaded me to buy the book after all.) The logic runs, I suppose, that they are all “new” in relation to Poe. What, then, about all those writers from 1849 to the 1970s, including, say, Shirley Jackson, or H.P. Lovecraft? They don’t feature in this lineage? My third objection to the anthology’s titular concatenation is that, despite its deft use of the uncanny and its powerful tone of “mournful and never-ending remembrance,” there is very little Poe-esque about Hirshberg’s story, and this is also true for a number of the other fictions in the anthology, including Straub’s own contribution. Perhaps the subsuming of a wide range of modern dark fiction to Poe’s supposed legacy may have had some marketing utility, but, despite the great strength of the individual stories it contains, it is ultimately for me the reason why, as a book, particularly one supposedly themed on Poe, Straub’s anthology falls a little flat. Despite his extensive knowledge of literary horror and his admirable continuing attention to the emergence of new writers and new styles in the field, this is where Straub is sometimes lacking as an editor/anthologist, or as a critic and genre historian: his need to situate the work his anthologies assemble in terms of the late 20th century, quasi-realist New England dark fabulism he shares with Stephen King, and his need to fulfill the obligations of mass-market publishing. Ah well. Poe understood what bizarre bedfellows literary criticism and commercialism make better than most. Datlow’s Poe-themed anthology, on the other hand, would have been better served by the sub-title “the new horror,” as it showcases an array of newer work, much of it technically ambitious, delightfully transgressive, and thought, as well as sensation, provoking. It doesn’t vie for mainstream, mass-market appeal by the inclusion of “blockbuster” fiction, or make a somewhat fusty case for itself as “serious literature” the way Children of Poe does. In many respects, Nancy Kilpatrick and Caro Soles’ recent nEvermore (Edge Publishing, 2015) taps a similar vein to that of Datlow’s Poe, and it does it with admirable deftness. 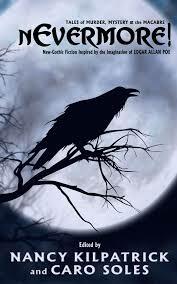 The book identifies itself as “Neo-Gothic Fiction Inspired by the Imagination” of Poe. It features 22 stories, each of them explicitly inspired by and responding to one or more pieces of Poe’s corpus, and each prefaced by a brief comment from the author(s) indicating its point de depart in Poe. One way in which the collection departs from Datlow’s is that the stories are usually shorter, and tend (with a couple of notable exceptions) toward the pulpier end of the Poe spectrum – they emphasize sensation rather than subtlety. 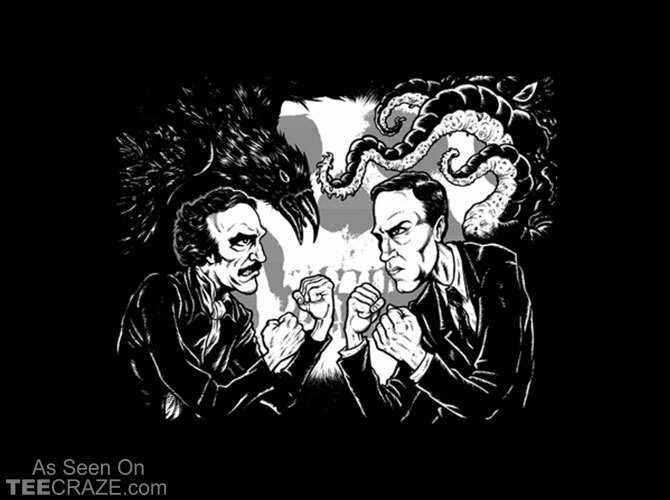 Poe’s tendency to fuse these modes is something many of his readers fail to note (even one so acute and devoted as Lovecraft, who praised Poe’s “cosmic horror” while denigrating his satiric tales, failing to realize how intrinsically tied the two modes were for Poe, and how important this was for Poe’s proto-absurdist achievement), but many of the stories that comprise nEvermore adopt a similar tendency with a manic mixture of grue and glee. Certainly, straight-no-chaser horror stories are abundantly represented. Christopher Rice’s “Naomi” is a chilling twist on “The Tell-Tale Heart” whose violent terror erupts from its hard-eyed portrayal of homophobia. Lisa Morton’s “Finding Ulalume” uses Poe’s “ghoul-haunted” musical poem to springboard a fast-paced piece of barrel-down horror. Richard Christian Matheson’s staccato “133” rebounds, ellipsis-struck, like a bullet off the side of Poe’s sepulchred “Ligeia.” Carol Weekes and Michael Kelly’s collaboration “The Ravens of Consequence” mirrors the cumulative effect of its source poem, building a textured eeriness that would make it at home amongst the stories in the Datlow collection.